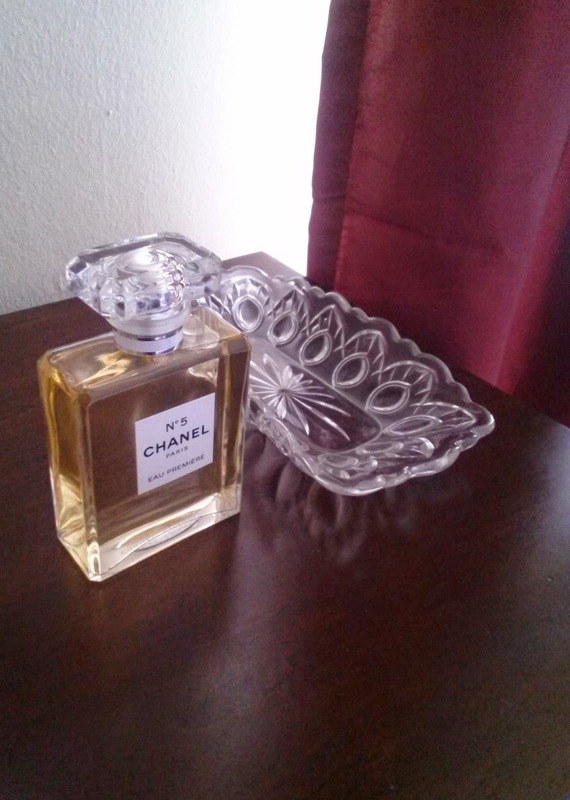 I finally purchased a new bottle of my perfume, Chanel No. 5 Eau Premiere, a couple of weeks ago. The bottle has been redesigned to resemble the iconic container of Chanel No. 5. The Chanel website explains that this elevates the experience and I agree as I love a classic. I love how it looks on top of my jewelry armoire. I love that I have a signature scent that I wear every single day. Check out the story on how I found it as well as the old vessel design here. I especially adore that the fragrance is a classic with a modern twist. It is perfumy thus womanly but light thus fitting for a thirty-something like myself. Mother wears Chanel No. 5 so I have opted for a different scent...Mitsouko by Guerlain which is heady with an exotic oriental vibe. I have read all of Jamie Cat Callan's books and am going to be on her Ooh La La Tour in Paris and will get to meet her in person! I am interested that you have a jewelry armoire...I have something similar from Stickley furniture...a combination jewelry armoire and lingerie chest! So many designers say that a perfume is essential. I love that it reflects a personality. I haven't read all of Jamie Cat Callan's books yet, but have loved the ones I did. I believe she told me on facebook that she has family in nearby Baltimore, so maybe I'll meet her one day... That seems like such a wonderful tour of Paris! I've had it for over four years now and love it. In fact, should I ever move to Italy, of my furniture, I would have to take that plus my metal bed frame. I love it mainly for its design, the panels remind me of rose windows of a cathedral I might have to see while traveling. It's from JCPenney. I am very organized as well, so it truly helps my jewelry nice and neat. I will have to keep it in mind when I expand my lingerie collection! Nice purchase! When Coco Mademoiselle came out I opted for that one. It was a long time save up for something from Coco perfume. Yet bold but not overpowering with oriental freshness. This is the only perfume where I don't have to feel like I need to have another spray because it smells dies quickly in this humidity. Thanks! I actually kept Coco Mademoiselle at the back of my mind for such a long while. I liked the sample, but I simply could not afford two perfumes. I like the idea of single signature scent anyway! I also adore the Keira Knightley TV commercials advertising this product. I couldn't afford two either but I do keep like The Body Shop White Musk Smoky Rose to alternate. I haven't seen the Keira Knightley commercials but I'll check out Youtube.